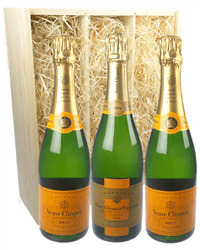 Champagne makes for a great gift to send whatever the occasion and which better than Veuve Clicquot. 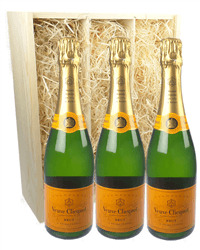 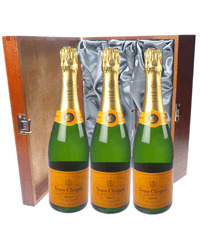 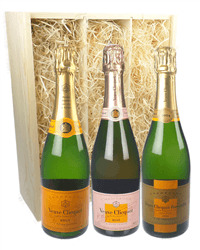 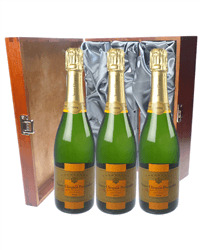 We have a great selection of three bottle Veuve Clicquot Champagne gifts for you to choose from. 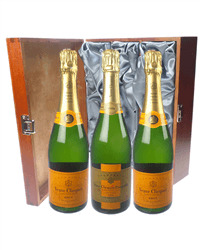 Whether you want to send Non Vintage, Rose, Vintage or a mixture of all three, then we can get a gift delivered for you, beautifully packaged with your personal gift message.